around 50km north east of the gleaming towers of the capital Luanda. With a nameplate capacity of 500,000 tpy of long steel, it is not only the biggest steel mill in Angola, but also in the wider central-west African region.The oil-rich country’s apparent use of finished steel products amounted to 1.034 million tonnes in 2014, according to data from the World Steel Assn (Worldsteel), more than doubling from 2006. The demand has mostly been met through imports. Georges Choucair, ceo of the privately-owned mill and chairman of its Angolan holding company K2L Capital, anticipates the steelmaker to fill part of the growing domestic supply gap. He spoke to Steel First during a recent visit to London about the challenges and opportunities of setting up a largescale industrial project in a country rising from the ashes of decades of civil war. The steel project became tangible in March 2012, when Italian technology provider Danieli was commissioned to supply and erect the plant, which includes a raw material preparation site, a meltshop converting scrap to billet and rolling mill equipment. The past few months, leading up to the inauguration, have been focused on test production, following three years of construction. Rebar will account for more than 60% of output, wire rod nearly 30% and wire mesh nearly 10%, with an overall output target of 300,000 tpy in the first phase. 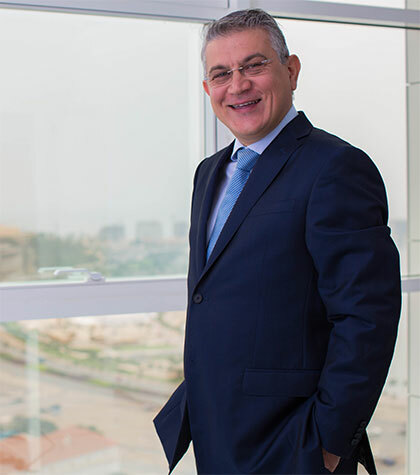 Capital expenditure at the ambitious greenfield project amounted to $300 million, half raised through equity, half through five-year bank loans, according to Choucair. In June this year, the World Bank’s Multilateral Investment Guarantee Agency (MIGA) also provided a $70 million investment guarantee on an equity investment into ADA by Luxembourg-based KLF Capital – K2L’s sister company, led by the Choucair family promoting the steel project – to insure the investment against the risks of transfer restriction, expropriation, war and civil disturbance for a period of 15 years. Angola spent the first 27 years of its independence fighting a bloody civil war that destroyed much of the country’s infrastructure. The aftermath of the 1975-2002 conflict is reflected in ADA’s operational challenges, but also in its opportunities. At the start of construction, there was no infrastructure or energy access to the site, according to Choucair. Our rebar operation requires huge quantities of scrap, but there are issues with logistics and the availability of equipment for scrap collection, he added. Domestic scrap availability is expected to last for around three years, through collecting abundant remnants from the civil war, old railways and the oil sector, which will support the environmental clean-up of the country. But new hurdles await the steel company as it has already planned expanding capacity to 1.2 million tpy by 2018-2019. Now we have a new challenge with energy, if we want to move to the integrated cycle,” Choucair said. “Angola started the LNG [liquefied natural gas] programme, but we don’t have visibility yet for the availability of gas. We estimate the second phase [will] cost $500 million and are working on securing financing, he added. Rebar, wire rod and other long products, such as sections and beams, will still be at the core of production given the lack of a developed flat steel market in Angola. We will continue to focus on the domestic market, but [will also] consider the wider region for marketing products from the second phase of production, Choucair said. He was confident that local steel demand will expand as Angola’s population is expected to grow to 30 million by 2030, from just over 24 million in 2014, creating new housing and construction needs. But while tapping into growing demand makes sense now, where did the drive into becoming the region’s largest steelmaker come from in the first place? K2L Capital started out in the textile industry in Senegal and set up in Angola in 1992. The family-owned business operates in diversified sectors, exemplified by Choucair’s journey into ferrous metals. I got into steel via bread,” he said. “In 1996-97, we started selling French baguettes in Angola. The French bakery was a success, so we decided to build a second bakery, but noticed there was a shortage of steel rebar in Angola,” he added. “So we saw another market opportunity and decided to import 100,000 tonnes of steel. The holding company, through its distribution subsidiary Angola Steel Corp (ASC), is now one of the biggest steel importers in the country, bringing in 240.000 tpy. With an established distribution network in Angola, the vertical move into production ensures ADA already has customers for its steel output among civil contractors, through ASC and direct sales. Currently rebar is sourced from Western Europe, including Spain, as well as from Turkey and China, Choucair said. But we are stopping our imports now, given the new mill. EU rebar exports to Angola have averaged 3,000 tonnes per month in the first nine months of 2015, compared with an average 15,000 tpm in 2012, based on data from the European Steel Assn Eurofer. Overcapacity in China, particularly on the long products side, has seen exports from the Asian country rise substantially this year, which has put pressure on global steel prices. ADA does not escape this competitive threat, with Chinese billet also heard offered in Angola, but the quality of its products will ensure sales in the domestic market, according to Choucair. Nobody can compete with Chinese pricing, but what we can do is to create a standard,” he said. “It’s quite easy to import any quality of steel to Africa, but our products follow high [international] standards. ADA is currently under inspection by the Portuguese certification association, Certif, with the aim of matching the LNEC E 450 standard for its rebar by February 2016. The steelmaker expects to receive certificates for its rebar from Spain (UNE 35068), France (NF A 35080-1), the UK (BS 4449), Germany (DIN 488) and Brazil (ABNT 7480) this year. Angola already has anti-dumping measures in place for some steel tube products, and the state is taking further measures to raise the quality of steel used in the country, Choucair said. The government has also modified private investment laws in August 2015 to support growth in the private sector and in foreign direct investment,” he added, as the country has big ambitions on construction and needs more industrialisation. Falling fossil fuel prices have intensified Angola’s efforts to diversify its economy away from oil and into new industries, with president José Eduardo dos Santos having endorsed ADA’s project in 2013. Domestic rebar production is further expected to benefit the Angolan state, as import substitution of the steel product can save “at least $300 million a year” in the foreign currency reserve, which has been depleted as the oil price has fallen. [so] we are very focused on social and environmental responsibility. The steelmaker is setting up a training centre, a health centre and housing near the plant, “like a new city”, for its 600 or so employees, of which 20% are expatriates. We look up to the best steel projects of the world,” he said, “but ADA was created to adapt to its market.